The Lifestyle File: Crazy for Kale! On my weekly trip to the local farmer's market this Sunday I happened upon a huge, green, leafy bundle of kale and just couldn't say no. Thing is...there's enough for about four different recipes. Not that I'm complaining. Kale is full of so many minerals, vitamins and is definitely the "cool kid" these days when it comes to leafy greens. Kale has great nutritional value, which I'm sure isn't news to any of us since it has risen to the top of the superfood pyramid. 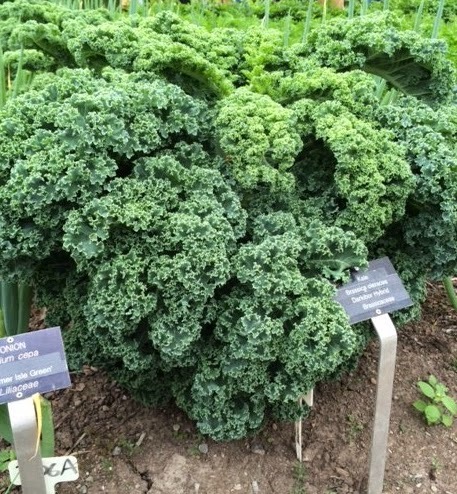 But in a nutshell, Kale is very high in beta carotene, Vitamin K and Vitamin C. This calcium-rich green also contains sulforaphane, a chemical that is said to have anti-cancer properties. These properties are also said to be heightened when Kale is chopped or minced (think- food processor). The great thing about this particular superfood is that it's nutritional value is said to remain intact even after it's cooked. So there are so many reasons to put this vegetable on your shopping list. So since it's "National Kale Day" and I often get questions about how to prepare kale, I thought I'd break it down for you and share my favourite things to do with Kale. You can use Kale anywhere you'd use spinach. Sauteed with some vegetables, mixed into a rice pilaf, as an ingredient in your pasta sauce... your imagination is the only limitation, so have fun with it and work it into your daily meals. Using a new ingredient can be an intimidating process but it's also a fun way to experiment and add some extra nutrients to your meals! Will post my Kale Chip recipe following this post so you can get in on the Kale action asap. Stay tuned!